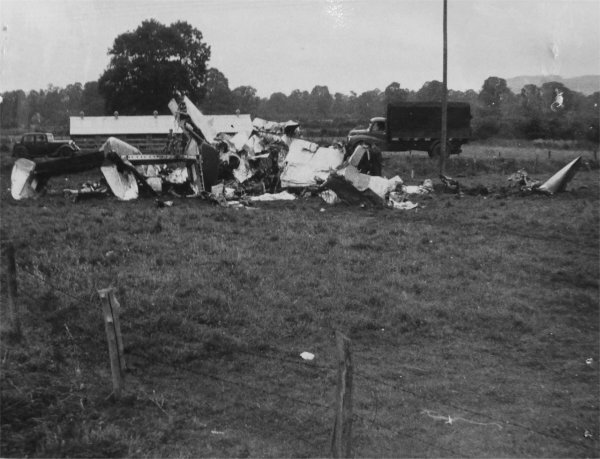 The following photos give an idea of how the two main crash sites have changed over the years. 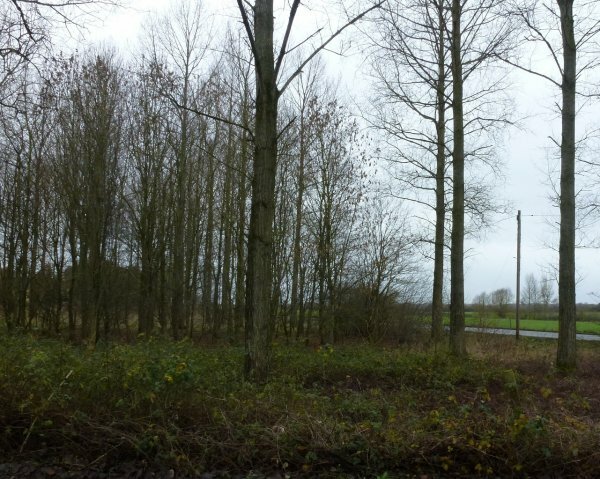 The site at Calstone Wellington, where the outer wings fell, has changed comparatively little aside from the growth of trees over the intervening years. Furtunately there is a detailed map of the debris trail in the main accident report and this considerably eased the identification of the locations. 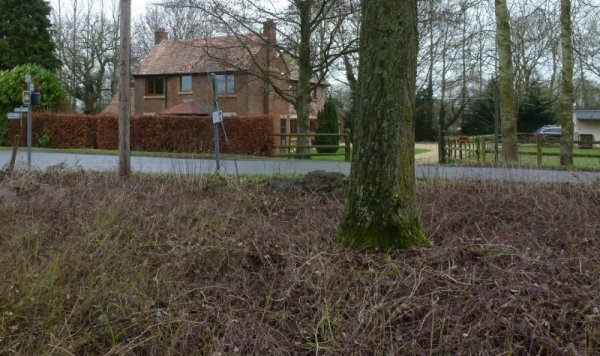 The site near Rough Leaze Farm, where the main part of the wreckage fell, has changed more markedly. 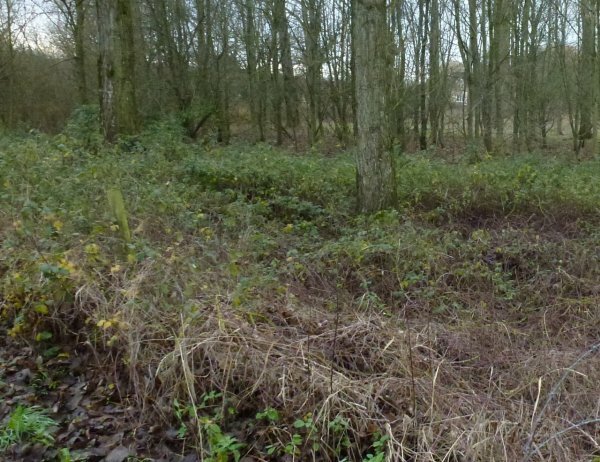 It seems that cattle carcasses were buried on the spot (presumably subsequent to the crash) and a stand of trees has grown up in the 60-odd years since the accident. The latter has made comparison views more difficult, but if nothing else, I hope my photos give an impression of the location. Please note that some of my '2013' photos were taken on private property. I had permission from the landowners for my photos, so please keep this in mind if visiting these sites. 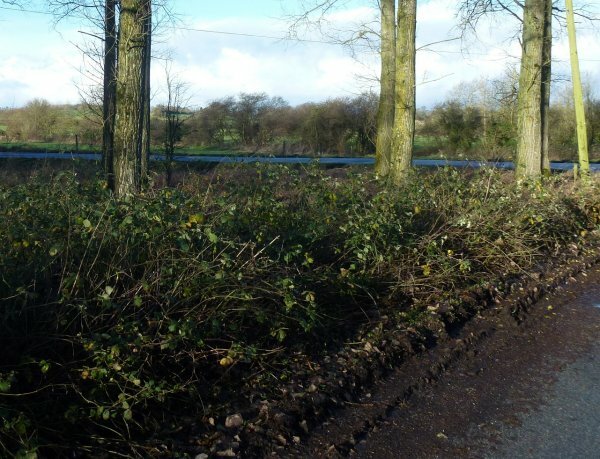 That said, access from public property is easy and should not require any access onto private land. 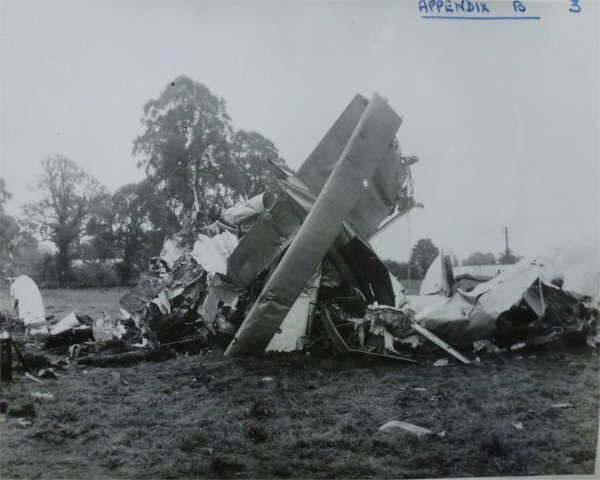 Location 'O' identified the starboard wing leading edge, seen to the left the '1954' photo and located to the right-hand side of the aircraft's flightpath, as would be expected. 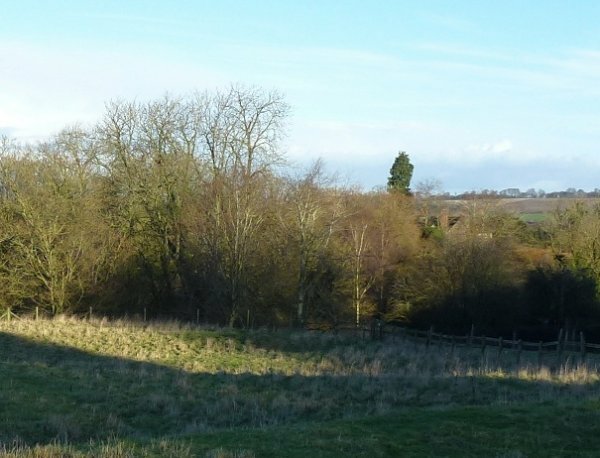 The views look northwest toward East Farm, just visible at right behind trees which have grown considerably since 1954. 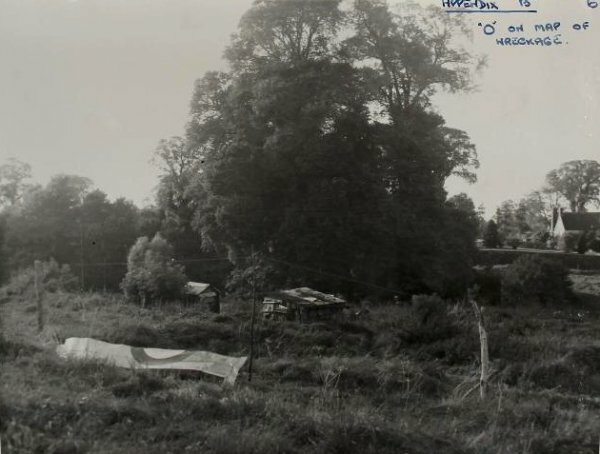 However the small conifer seen to the left of the farm in the 1954 view is probably a companion to the large evergreen tree seen in the winter 2013 photo at right. Slower-growing deciduous trees made the location of this view easier. The photos were taken just northwest of the church and facing to the northwest. 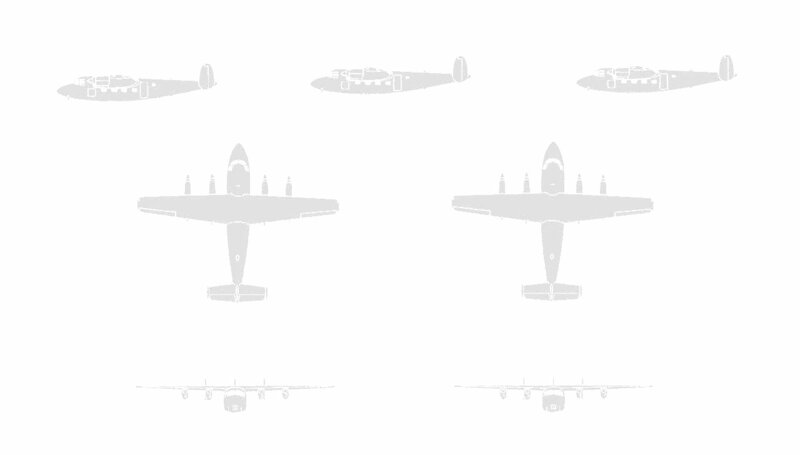 'H' and 'G' on the 1954 photo were the aircraft's port wing leading edge and starboard wingtip, respectively. 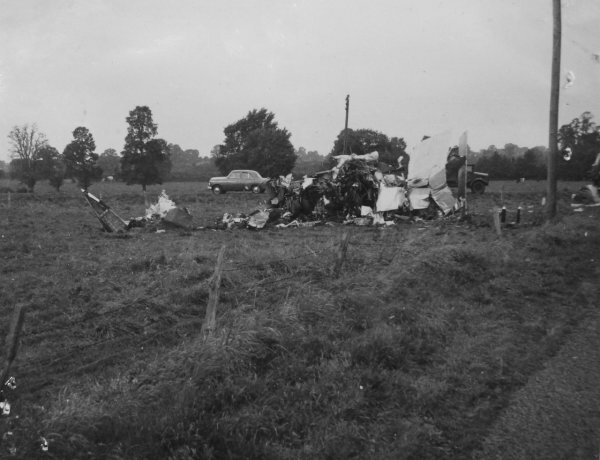 In 1954 the crash investigation team used the church tower to photograph the debris trail. 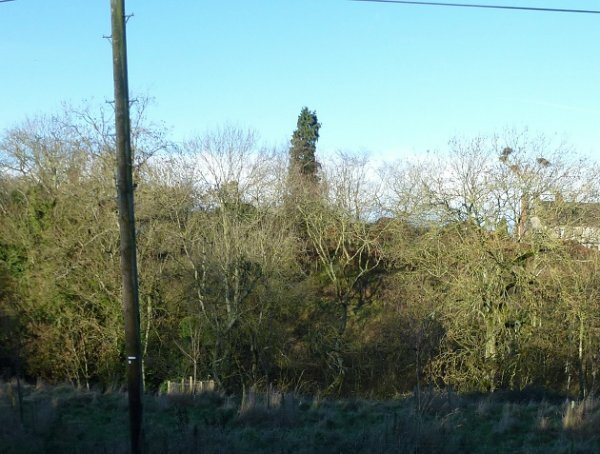 A yew tree can just be seen at the bottom of the photo at left; in 2013 the tree has grown to the point that such a view is now obstructed, but a similar view can be gained by standing next to the tree at the edge of the churchyard and looking northwest. 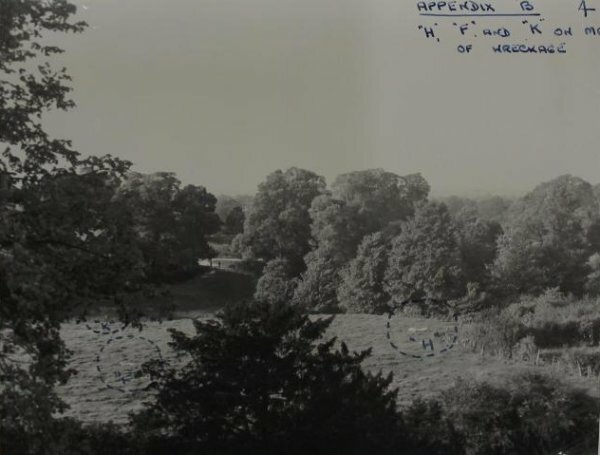 Sadly, the elm trees which obscured the cottages in the '1954' photo have long-gone and other trees have grown up to render the view more difficult for comparison. The 1954 photo showed 'K' (starboard aileron) at left, then 'F' (a wing leading edge joint) and 'H' (port wing leading edge). 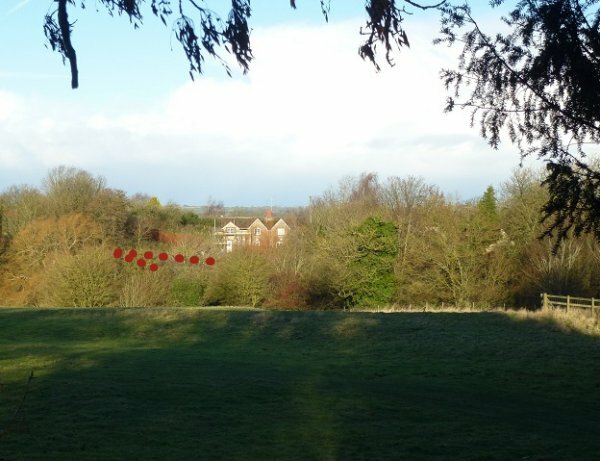 I've added red dotted lines to my recent photo to show where the tracks, visible in the 1954 view, are today. 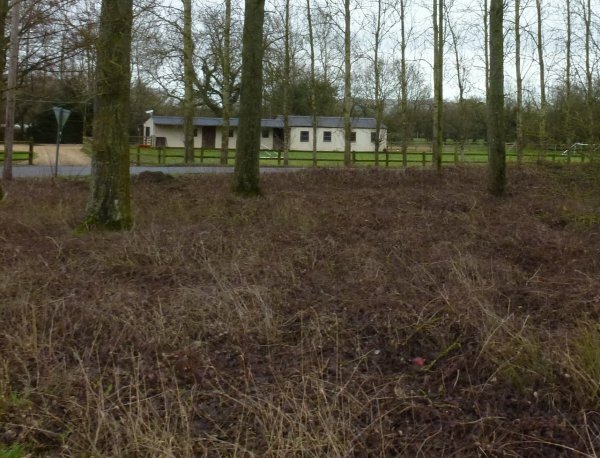 The cottage in the background makes for an easy comparison, but also highlights the growth of trees on what, in 1954, was an open field. This view is roughly facing northeast. 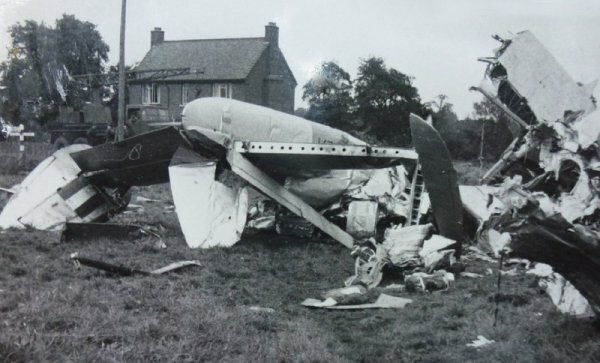 XA271 landed in the extreme northern end of a field, bounded by Stockley Lane, which runs north-south from Quemerford to Stockley, and an un-named C-road running from Stockley Lane east to the Blacklands Crossroads. Stockley Lane can be seen running to the rear of these shots. 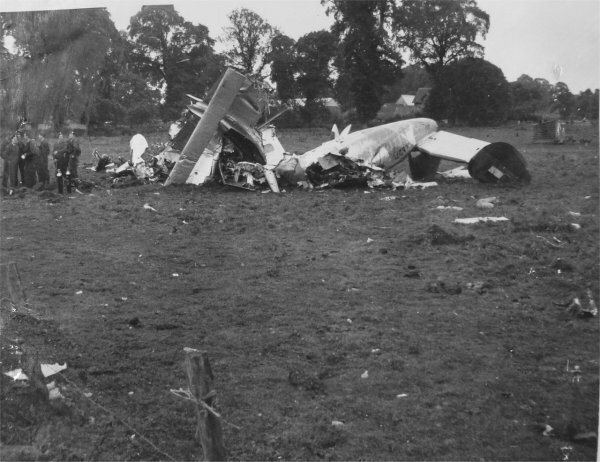 Further round, looking southwest the wreckage of XA271 shows one of the inboard engine nacelles and an associated length of flap. 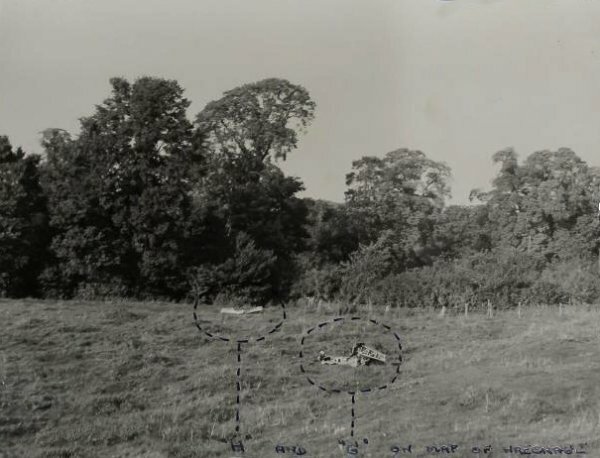 Facing roughly south, in 1954 the buildings of Rough Leaze Farm were visible in the distance, but in 2013 only vaguely when the leaves fall in autumn. The truck at rear is travelling west on the road from Blacklands Crossroads to Stockley Lane. The cottage shown in the first series of photos is just out of shot on the left.